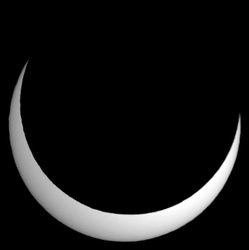 Clear sky, excellent transparency, terrible seeing. 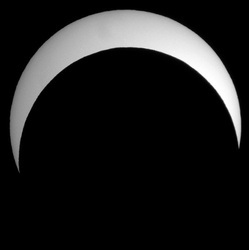 Click a frame to enlarge it. 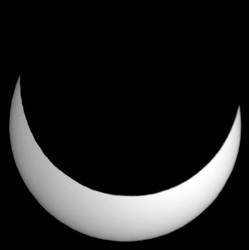 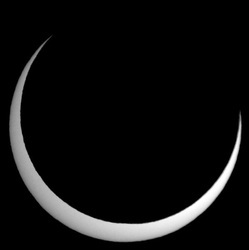 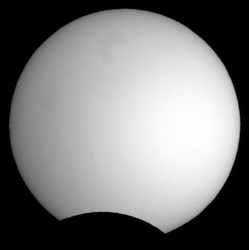 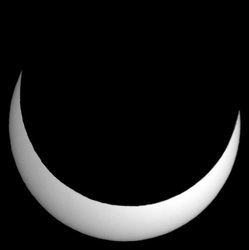 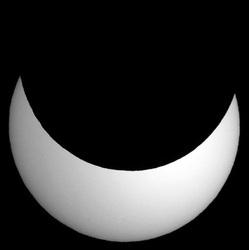 Unfortunately I was not able to photograph the first moments of the eclipse. 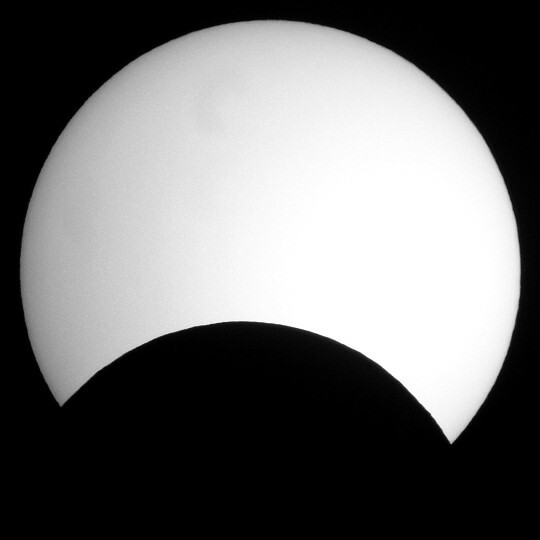 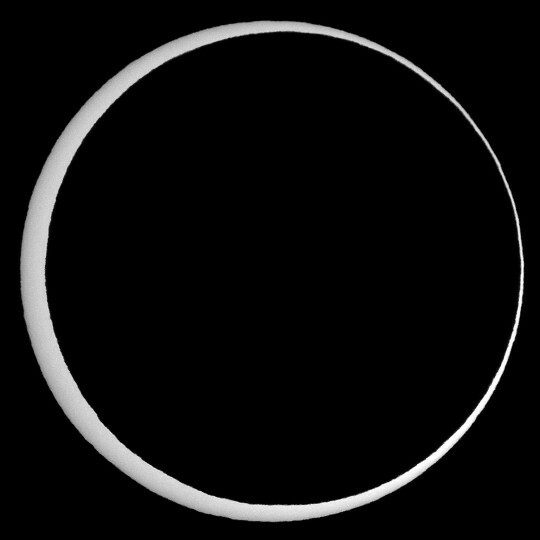 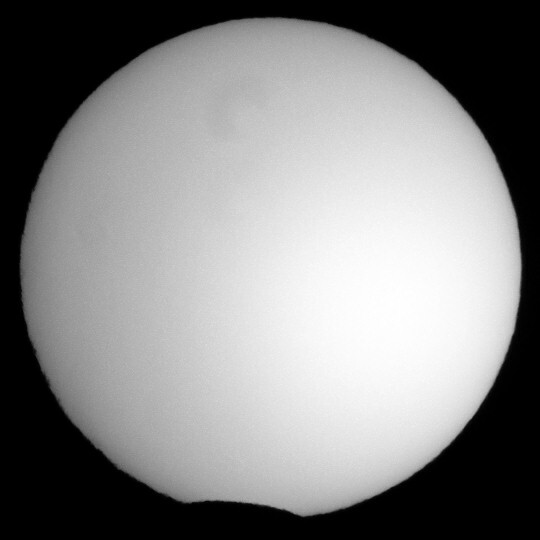 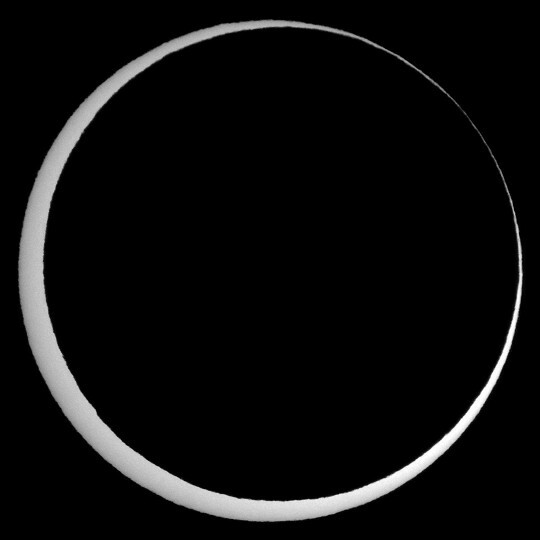 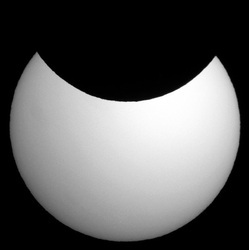 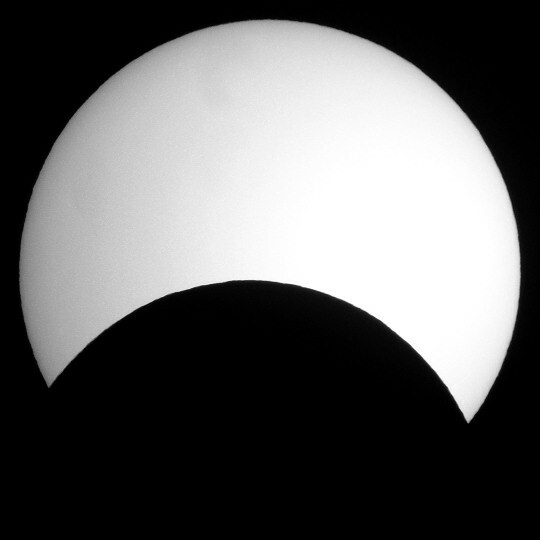 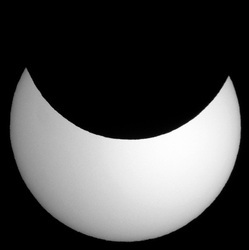 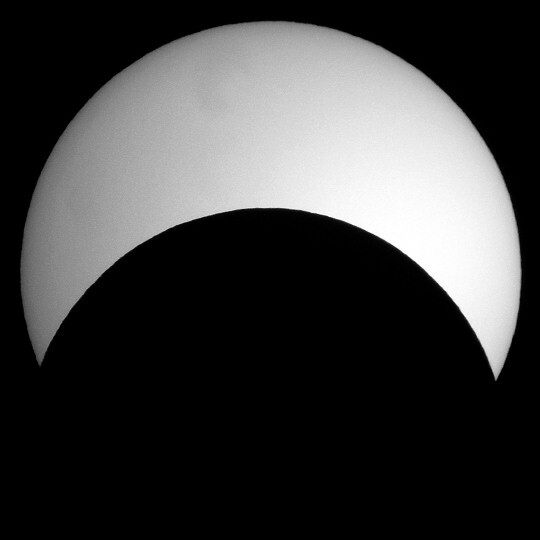 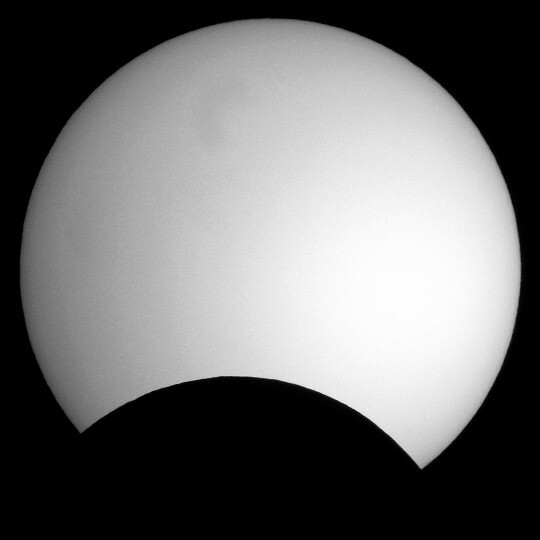 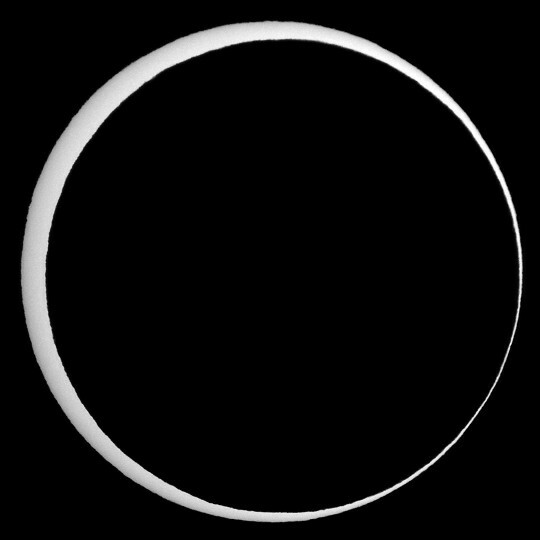 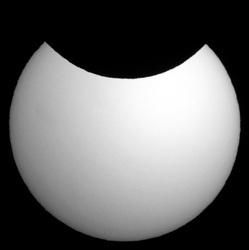 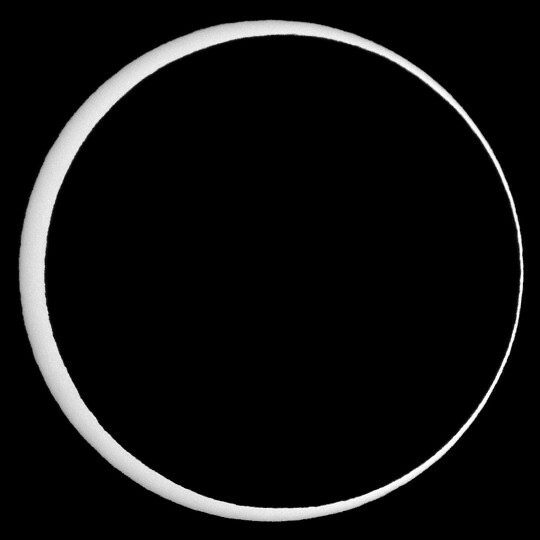 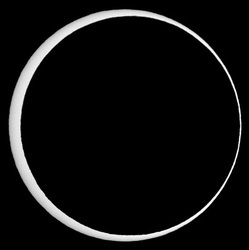 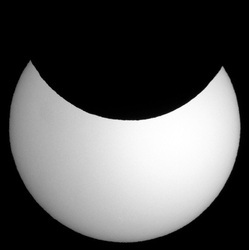 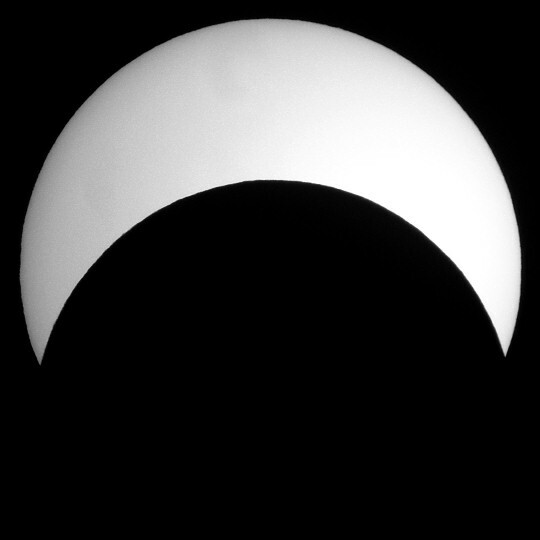 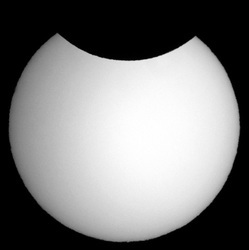 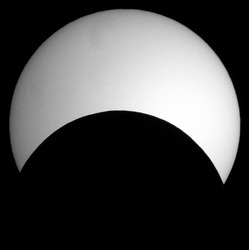 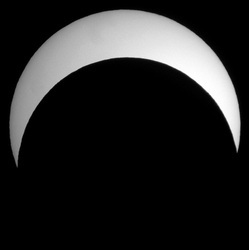 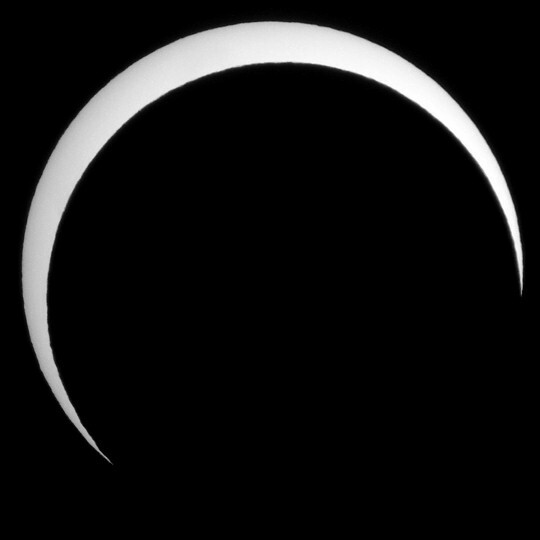 In the brief moments surrounding the 2nd and 3rd contacts of a solar eclipse, the Sun's limb appears irregularly interrupted because of the dramatic topography of the Moon surface. In the images below, two eclipse frames corresponding to the 2nd and 3rd contacts were first overexposed – to emphasize the mentioned irregularities in the Sun's limb – and then matched with existing lunar limb profile maps, courtesy of Fred Espenak, NASA/GSFC (thank you!). Original maps are available here.